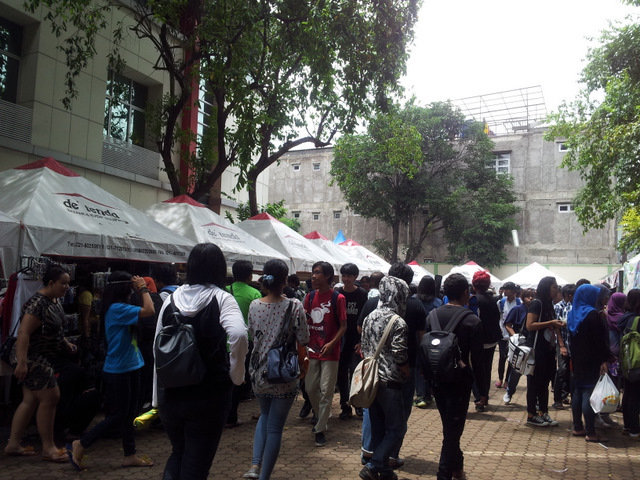 Almost a week ago I went to Jiyuu Matsuri (Jimat) UNJ at about 10 am to watch Mea performance. Unfortunately the Transjakarta bus was too late, I arrived at 11 am T^T and couldn't come on time. I was planning to watch JellyFish, Honey Beat and Obake at noon too but unfortunately there are something that I must do so I have to went home early T^T. But whatever. In this festival, I spend a lot of money to buy clothes (laugh). Here are some pictures that I take. I went home too early I couldn't take any picture of people's cosplay T^T. 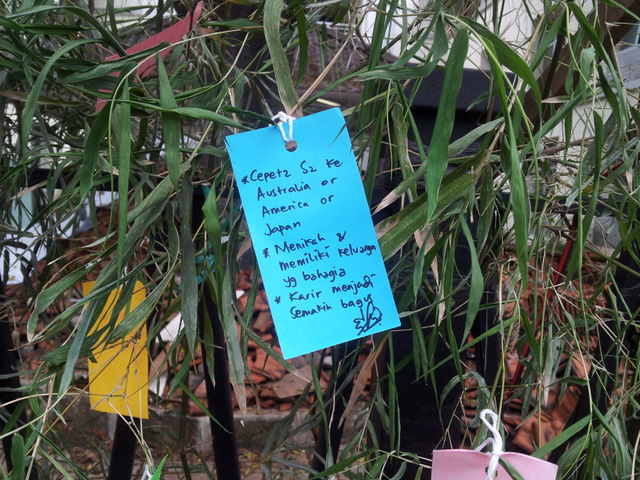 Tanzaku is a small piece of paper where people write their wishes. In this festival, the organizing committee sold tanzaku to visitor. The picture above is my tanzaku ^^. I hope it will come true ^^. I couldn't experience the obakeyashiki so I hope I will come to this annual festival next year to try it.